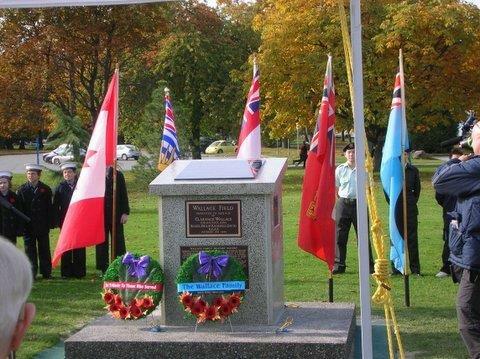 On 19 October 2008, a new memorial was unveiled and dedicated to recognize the original Wallace Field, to remember a son of Colonel Clarence Wallace, killed while serving in the RCAF during World War II and the Military Units all who served at Jericho from 1921 until closed in 1969. 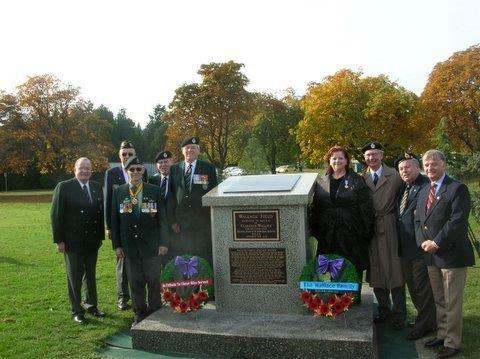 The impetus and primary thrust came from Pilot Officer (Ret’d) Bryan A. Quinlin, DFC, 801Wing RCAF, with assistance of the British Columbia Veteran Commemorative Association, the Air Crew Association – Vancouver Branch and the Air Force Officers’ Association. Designed by Applecross Design | All content Copyright © 2018 British Columbia Veterans Commemorative Association except where noted.